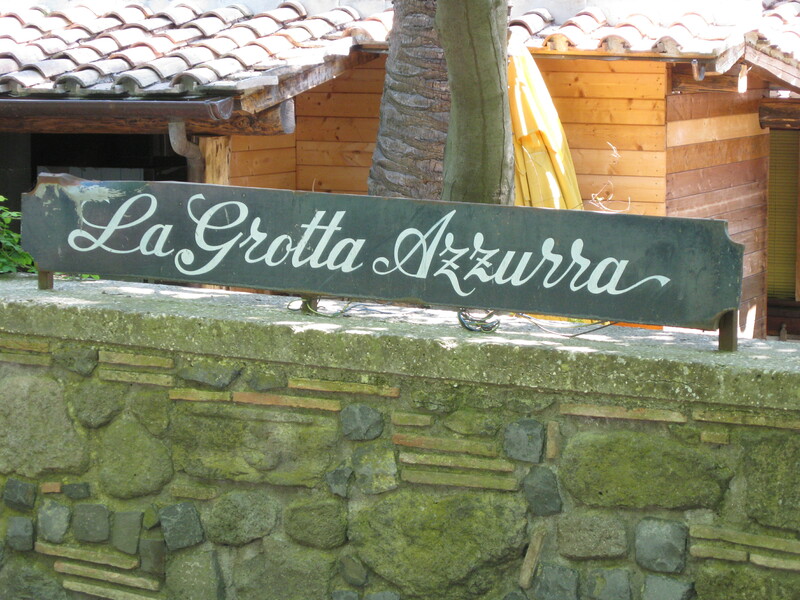 One of my favorite places to eat is Grotta Azzurra, a small family run restaurant featuring a charming terrace and garden. 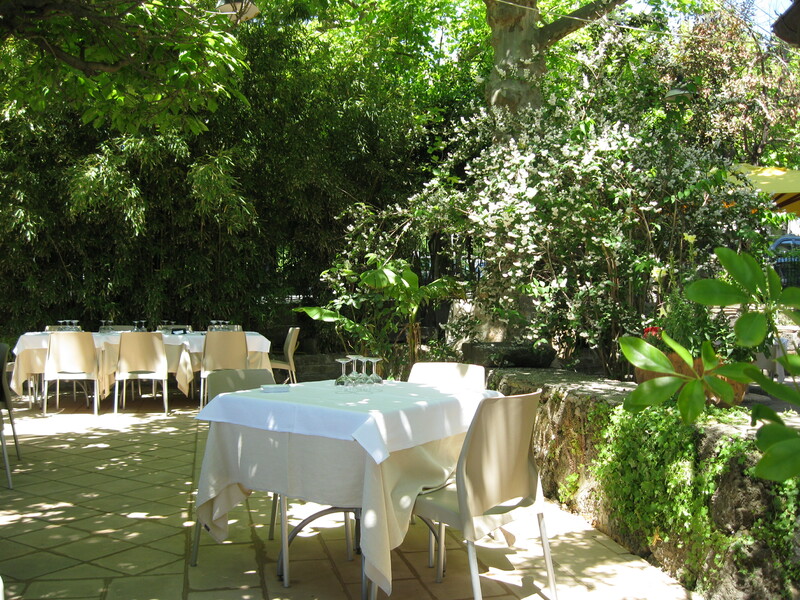 This is a view of the cozy garden, where you can have your meal while experiencing a beautiful lake view. The menu includes fresh seasonal produce and seafood from the lake. 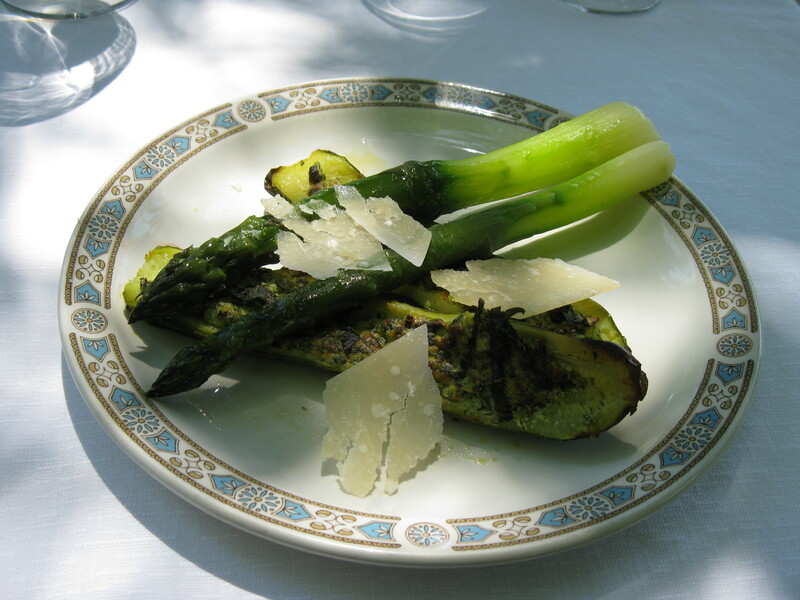 This delicious appetizer was made of stuffed zucchini with ricotta and herbs, and with asparagus and shaved pecorino romano. 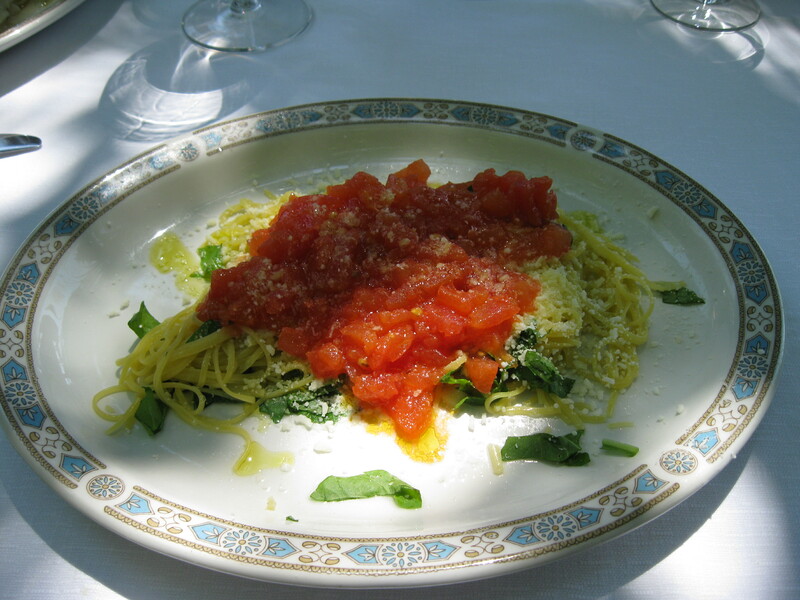 Pasta with rucola, lightly sautéed diced tomatoes, and tossed with grated pecorino romano. Need to add more? 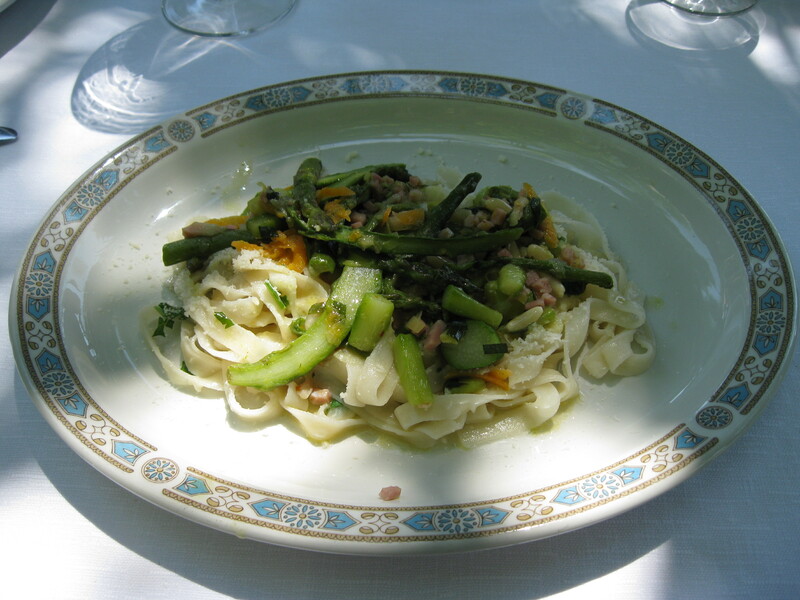 This is an ambrosial dish: tacconi (a long flat pasta type) with asparagus white ragù. The ragù included: tiny little bits of pancetta, carrots, pine nuts, and tarragon. Our last course ( secondo piatto): Luccio con olive taggiasche e capperi. 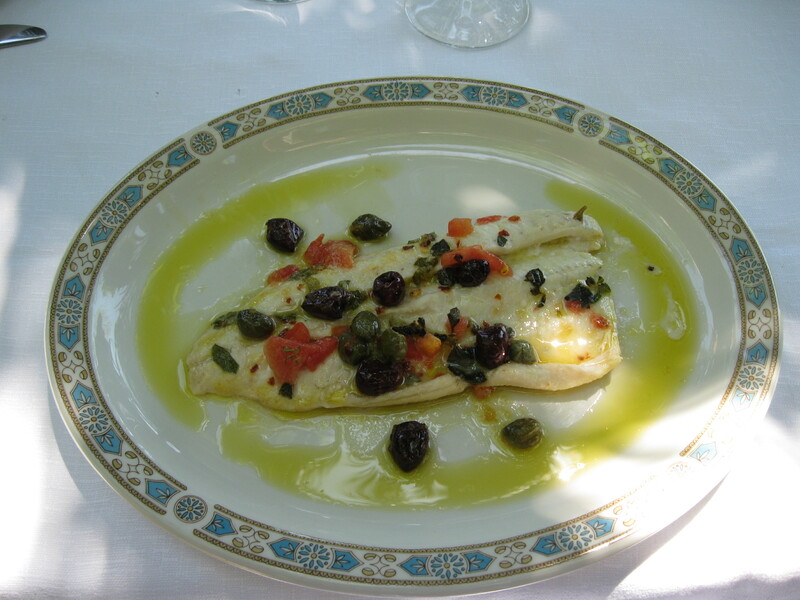 This is a typical mediterranean recipe: Luccio (a lake fish), taggiasche olives (a small type of olive from the Italian Ligurian Riviera), capers, diced tomatoes, and fresh oregano leaves. We shared the appetizer, ordered two pasta courses, and two second courses. 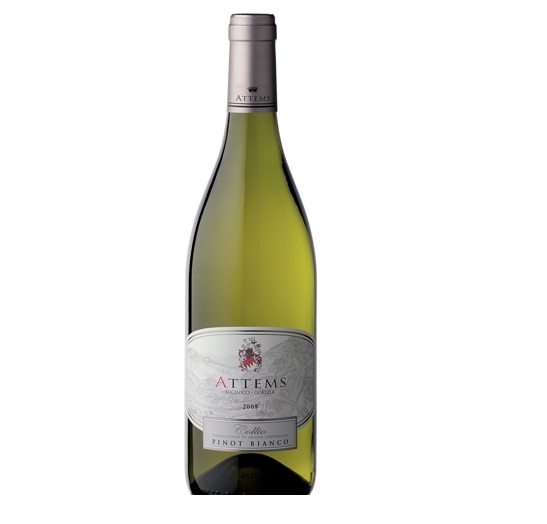 The whole meal – including a bottle of wine, bottled water, and two coffees – cost 70 euros.